Begonia Chan (Hong Kong, 1997) started her musical education learning the violin at the age of 4 and the piano at 5. However her passion soon turned to the cello at the age of 11 and she began her pursuit as a cellist. 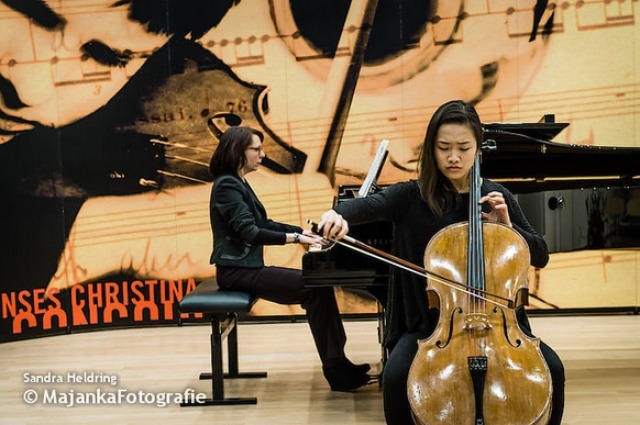 Within a year of playing, she was successfully admitted into the Shenzhen Arts School in 2008, and since 2013 began her studies under Lucia Swarts at the Royal Conservatoire in The Hague. Begonia has participated in several competitions, winning first prize at the Hong Kong Youth Strings Competition under the Senior Class category in 2010, and a silver award in the Open Class Division in 2012; she also received an honorable mention at the Princess Christina Competition in 2013, and an incentive prize in 2014. She was admitted to the class of Enrico Bronzi in the International Summer Academy at the University Mozarteum Salzburg in 2011, and the Eastern Music Festival in the U.S. in 2012, where she received lessons from Rebecca Zimmerman. Throughout the years, she has also attended masterclasses with Laurence Lesser, Harro Ruijsenaars, Dmitry Ferschtman, Caroline Kang, Amir Eldan, Wolfgang Emanuel Schmidt and Gavriel Lipkind. Begonia was principal cellist of the Shenzhen Art School Philharmonic, and the Atheneum Kamerorkest at the Royal Conservatoire.